Deeper, more thorough clean than an ordinary manual toothbrush. Removes significantly more stains than a manual toothbrush. Gentle on gums. Replaceable FlossAction Brushhead. Unique micro pulse bristles allowing interdental tips to clean deep between teeth. Sustained rechargeable cleaning power: Lasts 5 days between charges when brushing two times a day for two minutes each. Pack contains:1 brush handle with two minute timer, charger, 2 FlossAction brushheads. 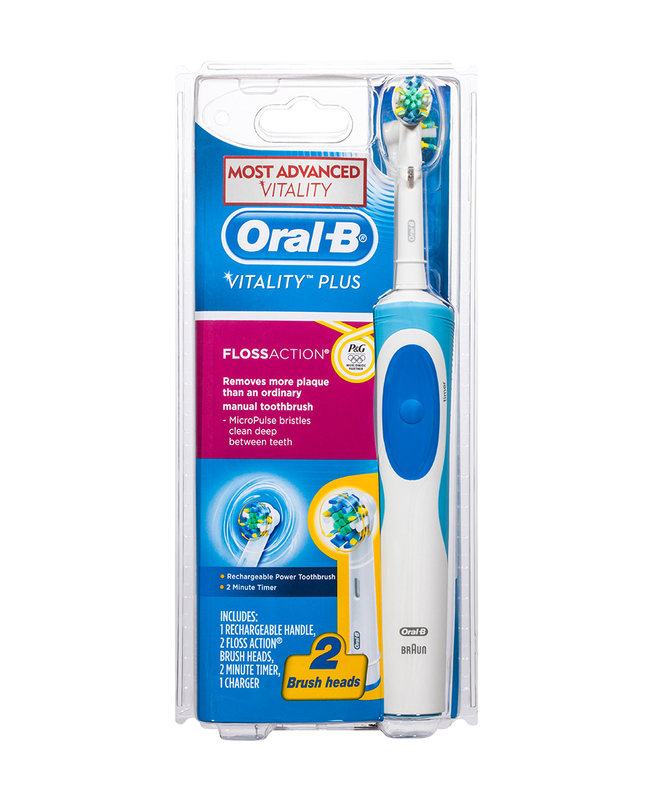 Oral B Vitality electric toothbrush operates with a Ni-Cd rechargeable battery.